Lindas imágenes para colocar de fondos de pantalla. Es una lástima que para bajarlas te obligan a tener una cuenta en Yahoo que no es de mi agrado. Nice images to place wallpapers. It's a shame that to lower them you are forced to have a Yahoo account that is not to my liking. Auto wrote: I hope you have successfully modified the svg file. if any thing needed please let me know. Is Inkscape the only graphics program that can be used, since it's a SVG file? I've not used it, but then I've hardly used others as well. You may do that but inkscape is really very easy and layer is only a onion skin concept. the circle you wanting to enlarge or change is on layer 2. 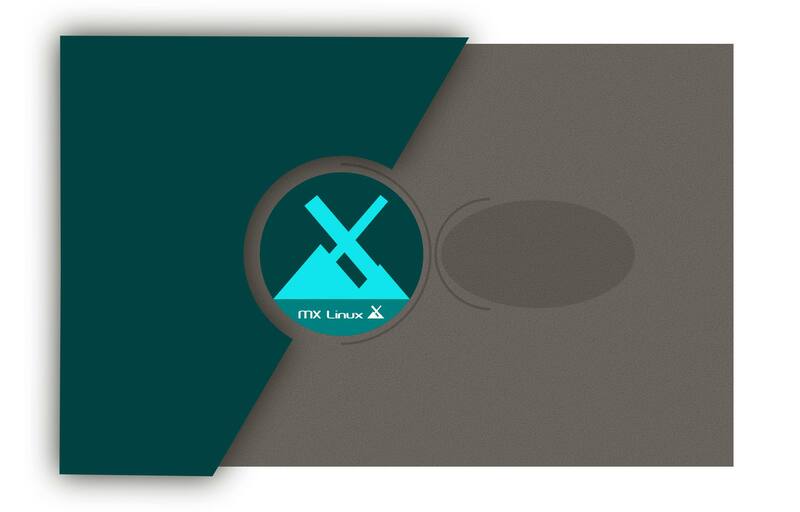 Layer has 2 button aside, one is an eye which make layer visibility on or off and 2nd is lock which locks the content not for further editing and if the layer 2 i have send is locked first unlock it and click on the circle element as its highlighted it will show handles and for very basic concept there is a help page which are svg files in the inkscape last menu button. Thanks and you dont need a yahoo account, simply download largest resolution and open it in gimp which is preinstalled in MX, Select crop tool and select area you want and click on export as, and in file extention manually enter .jpg if you want it in JPEG format or .png if in PNG format. For making file small, please go to image tab and select size and enter your desired resolution and aspect ratio. Attaching a modified copy of same, is this useful? or i need any modifications further? Pls intimate. I tried using Inkscape for the first time and got a more stretched (ie, longer) oval shape than yours, but couldn't make the curved "C" bracket on the left of the oval follow its shape properly. I'll post my first attempt here later tonight. But I couldn't figure out how to curve the "C" on the left to follow the outline of the oval. Also, my preference is a "capsule" shape, ie, a rectangle with rounded ends, but I have no idea how to achieve that. First Congrats for your 1st try on inkscape. Once you start using, you will find how easy and logical the software is. For 1st time user i recommend to go in Help tab and click tutorials, They are really a good point to start. The Curve c is in layer 1 and it was made by making an triangle and then intersect with the left circle making an enlage version of it, so that aspect ratio and width and gap are maintained. For right circle which you want a rounded rectangle, you may try to place one rectangle shape from left toolbox(F4), and click on edit nodes(F2), then drag the handle to make edges rounded. Can this be useful, or i need some modifications further? However, by curved "C", I mean the light brown outline to the immediate left of the oval shape. See red arrow in the pic below. It's part of the same layer as the oval. I clicked on the "C" and tried to stretch, tweak and pull it, but just couldn't get it to follow exactly the curvature of the oval. Would appreciate some guidance on this.